Women returners: Back to your future: Returnships: what are they & where can you find them? Returnships: what are they & where can you find them? 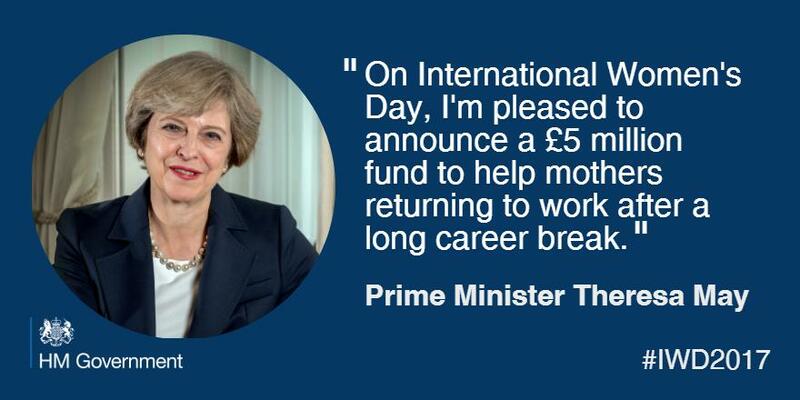 It is fantastic to get support for career break returners on the Government agenda. I hope that this can build on the work we have done since 2014 to develop the UK returnship market based on the strong business case. The fund should provide a means of accelerating growth to new sectors and regions, enabling progress towards our objective of making returner programmes a widespread part of regular annual recruitment. 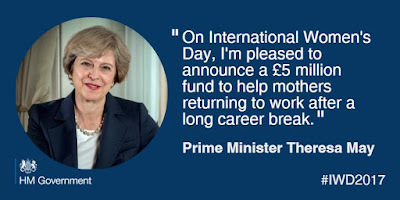 Although we've been highlighting the benefits to business and individuals of returnships in the UK for over 3 years, I'm aware that many people on career break hearing the budget announcement may be wondering what a returnship is and where they can find one. So here's an update of a blog we first wrote back in Nov 2013*. A returnship is a higher-level internship designed specifically for professionals returning after an extended career break (usually defined as over 2 years, to target the group who find it hardest to resume their professional careers). The UK programmes are open to men as well as women, whatever the reason for the break, however it's no surprise that the vast majority of people with big CV gaps are returning mothers/carers. A typical programme consists of a short-term fixed term contract for 3-6 months. You do professional-level, CV-worthy work, leveraging your skills and experience. Best practice programmes offer support through coaching, training, mentoring and networking. You'll be paid at a professional level (this isn't a minimum wage or unpaid internship), but usually not at full-market rate until after the programme to allow for the up-skilling period and the cost of the support. There is a strong possibility, but not a guarantee, of an ongoing role at the end of the programme. Many programmes offer flexibility, sometimes including part-time work. Cohorts are small, often in the range of 5-15 participants, to ensure that suitable roles are available at the end of the programme. For the returner, it offers a supported pathway back to a mid to senior level role, rebuilding your professional confidence, refreshing your skills and gaining recent experience. You also get to test out whether the role/organisation is right for you, as well as whether it's the right time for you to return to work. You stand an excellent chance of getting a permanent role and, in any event, it's a great springboard to another role elsewhere. From the employer's side, the organisation can tap into a new talent pool of high-calibre professionals to fill their skills gaps and increase their diversity at managerial levels. The hiring manager also reduces the perceived risk of hiring someone without recent experience directly into a key role in their team. Great idea - does it work in practice? We've now supported many employers and cohorts of returners on returnship programmes and we can answer a firm 'yes, it works for both the returner and the organisation' - just read our returner programme case studies. It's not a box-ticking exercise for companies. We're not claiming it's been plain sailing for all participants, or for the programme managers come to that, however if you approach a returnship with the right mindset it's one of the best ways we've found to take the fast track back to a professional role. The majority of participants, typically 60-85%, are offered ongoing positions and for those where the right role isn't available most have taken up great opportunities elsewhere (see Anna's story for an example). There are downsides. You have to live with uncertainty during the programme about whether you'll get a permanent role at the end (if you feel ready and able to get straight into a permanent role, a returnship probably isn't for you). These are pilot programmes for most organisations, so you need to have a pioneer mindset and to play an active role in making the programme work for yourself and the business. We keep a list of UK & other European returnship programmes on our website: see here. There were 23 programmes in the UK last year and some programmes are now on to their 2nd or 3rd year. Numbers are still small, but rising quickly, and the budget funding should provide a major boost. Although there is a focus on the South East and on financial services and construction, the market is evolving rapidly and we're co-developing programmes in a range of sectors and locations. As the concept becomes more well-known, keep your ears open locally as you may well find companies offering returnships we don't hear about (do keep us posted as we aim to collect on-going statistics on the returnship market). What if there aren't any in my area/sector/country? Don't sit back and wait for the market to develop and your perfect returnship to appear! If the concept appeals, try setting up your own informal paid 'returnship' in a company where you have contacts - you may prefer to talk of it as a project or temporary/trial position. Be a pioneer yourself! We'll talk more about pitching your own returnship in a future post.